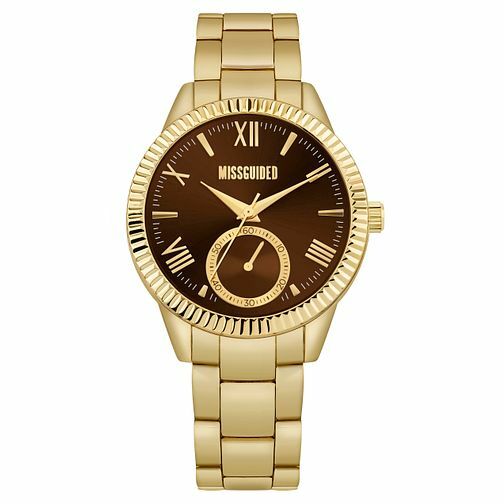 Missguided present this gorgeous gold tone timepiece. A polished patterned case co-ordinates with the gold shade hour markings, hands and Missguided logo positioned above the dial centre. 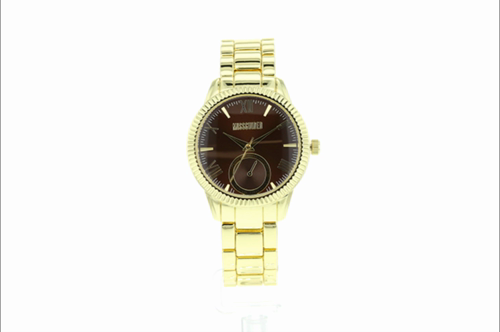 Complimented by a rich brown dial, this sophisticated watch is complete with a gold tone bracelet.